EVGA SuperNOVA T2 power supplies offer unmatched efficiency and performance with the Titanium series, second only to higher classes of themselves (i.e. EVGAs 850 T2 or the 1600 T2). 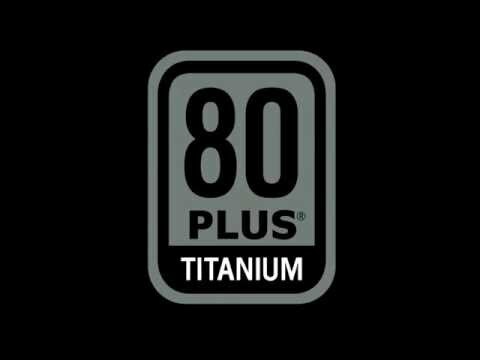 The 1000 T2 Titanium is capable of powering high-end systems with ease. It measures at 85mm (H) x 150mm (W) x 180mm (L) meaning it will fit into most cases, though it may be a tight fit in the smaller selection. The fan size is relatively large at 140mm, with a double ball-bearing set-up. Uisng a +12V single rail and an ECO Mode switch means the Titanium 1000W has a rating of 83.3 amps and a 94%+ in efficiency! A high-quality dual ball bearing fan gives the SuperNOVA 1000 T2 an excellent thermal and acoustic profile, and its high reliability ensures a long PSU lifetime. Run multiple NVIDIA graphics cards for the ultimate gaming experience. The SuperNOVA 1000 T2 gives you the power you need to drive these demanding systems and achieve the best overclocks. 80 Plus certification ensures your power supply isn’t wasting power and turning it into exess heat. Under typical load this power supply is 94% efficient or higher. 1000W EVGA SuperNOVA 1000 T2, Full Modular, 80PLUS Titanium, SLI/CrossFire, Single Rail, 83.3A, 140mm Fan, ATX PSU is rated 5.0 out of 5 by 1. Rated 5 out of 5 by Tomas73 from Quality! The product has loads of cables supplied. Everything looks and feels well made. The packaging is reassuringly OTT. More importantly, fitting, wiring, and getting up and running went without a hitch. The PSU is currently performing as expected.